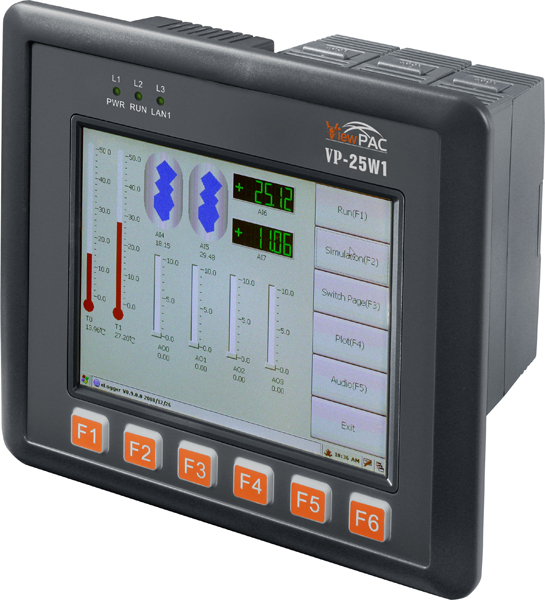 VP-25W1 | ViewPAC Touch Screen Controller with 5.7" Display, Windows CE.NET 5.0 Operating System and 3 I/O Slots. 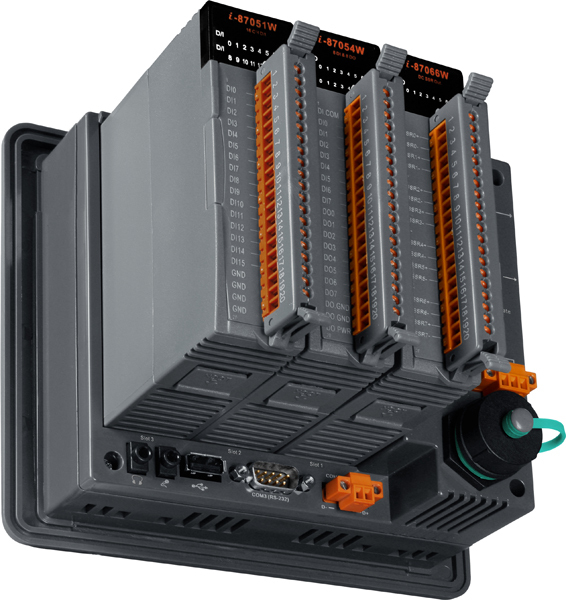 Includes FTP Server, Ethernet Port, RS-485 port, RS-232 Port, Demo Programs and SDK. Comes with Free eLogger Control and Monitoring Software. Ingress Protection - Front panel: IP65. 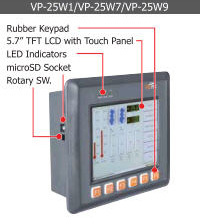 ViewPAC Touch Screen Controller with 5.7" Display, Windows CE.NET 5.0 Operating System and 3 I/O Slots. 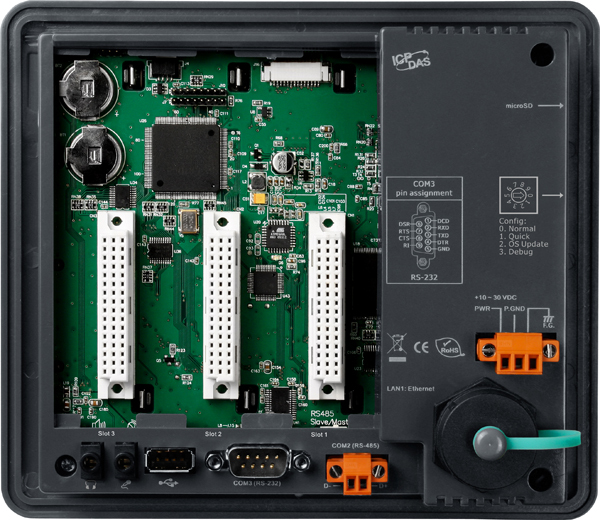 Includes FTP Server, Ethernet Port, RS-485 port, RS-232 Port, Demo Programs and SDK. Comes with Free eLogger Control and Monitoring Software. 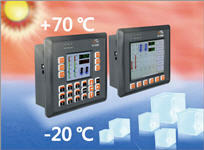 Ingress Protection - Front panel: IP65. ViewPAC combines WinPAC, graphic display and keypad in one unit. 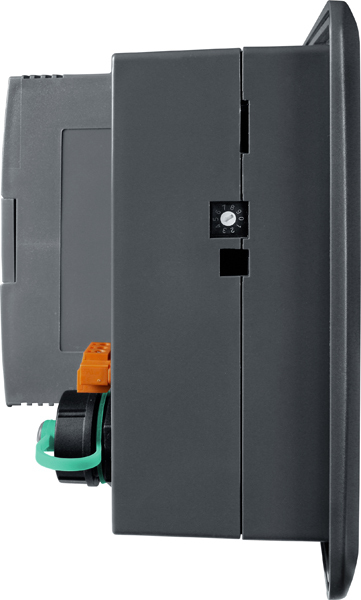 It equips a PXA270 CPU (520MHz) running Windows CE.NET 5.0 operating system, variant connectivities (USB, Ethernet, RS-232/485), 3 slots to expand I/O modules, 3.5”/5.7” TFT LCD and a rubber keypad. 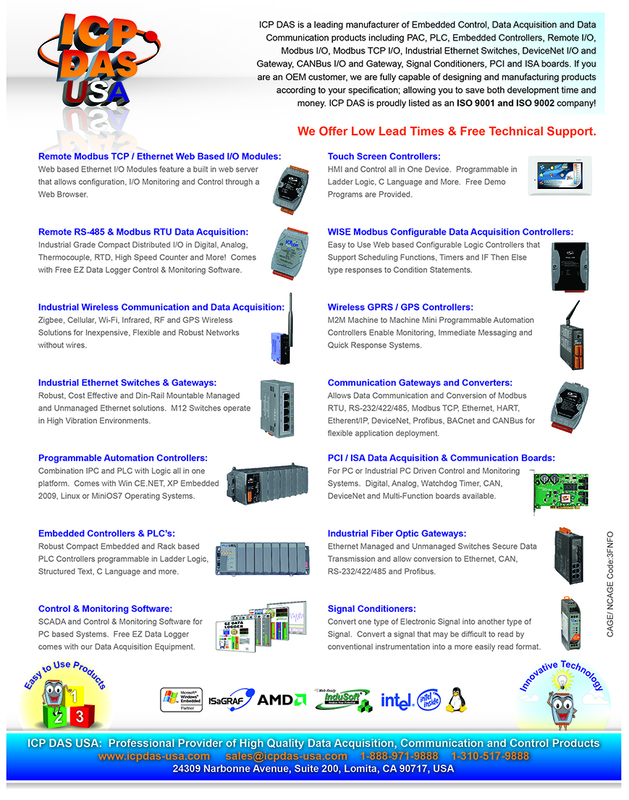 Its operating system, Windows CE.NET 5.0, has many advantages including hard real-time capability, small core size, fast boot speed, interrupt handling at a deeper level, achievable deterministic control and low cost. Running Windows CE.NET 5.0 in the ViewPAC gives it the ability to run PC-based control software such as Visual Basic.NET, Visual C#, Embedded Visual C++, SCADA software, Soft PLC etc. 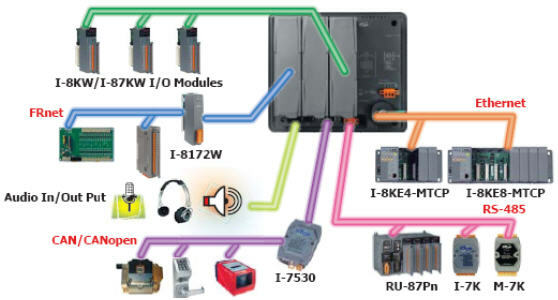 Compared to traditional IPC + PLC solutions, ViewPAC reduces overall system cost, space and gives you all the best features of IPC and PLC.